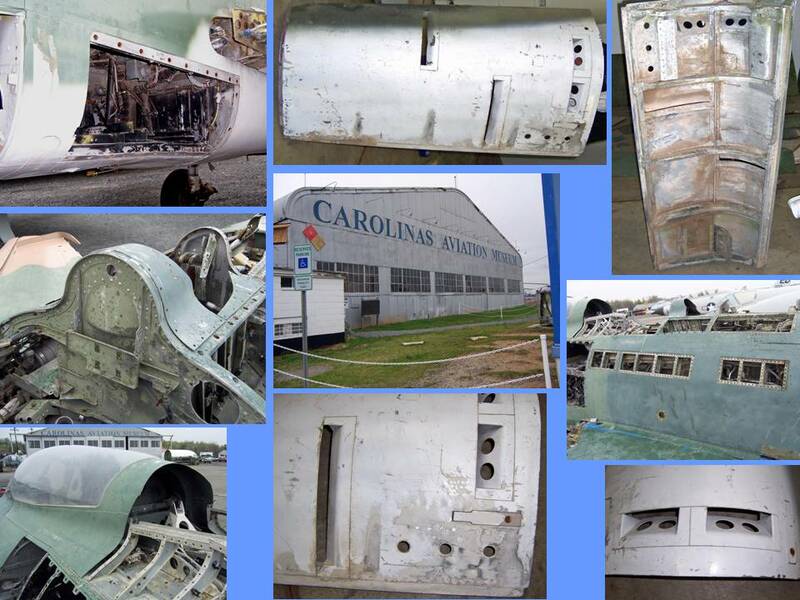 Cell 02 shows some of the F-100D pieces that Dean had stored inside. 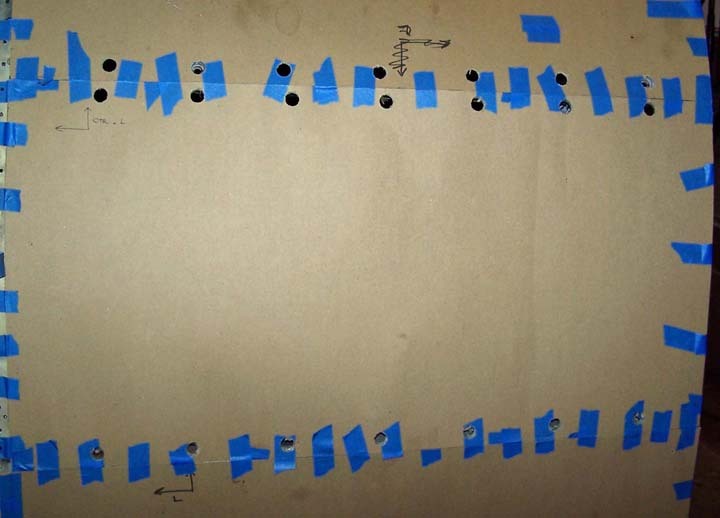 These pieces, too, were traced, measured, and recorded. 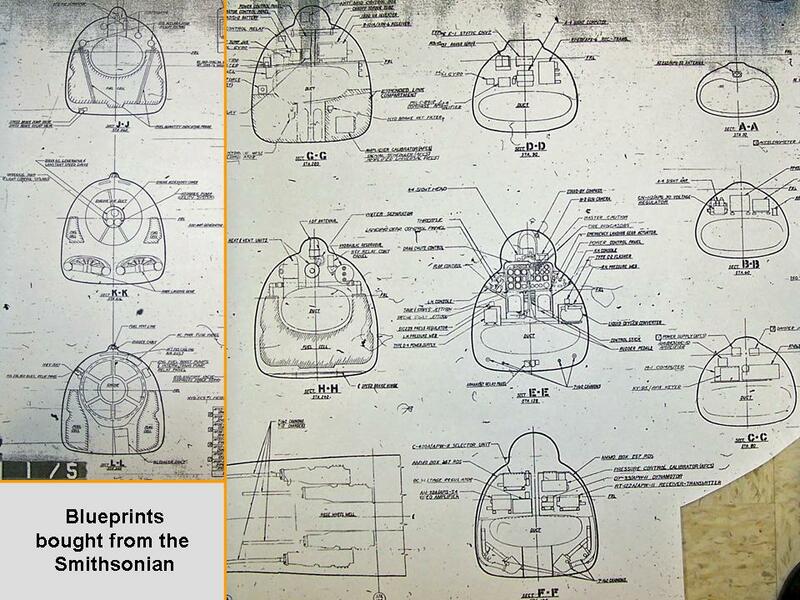 Cell 03 shows a few of the cleaned up paper tracings in my F-100 building. 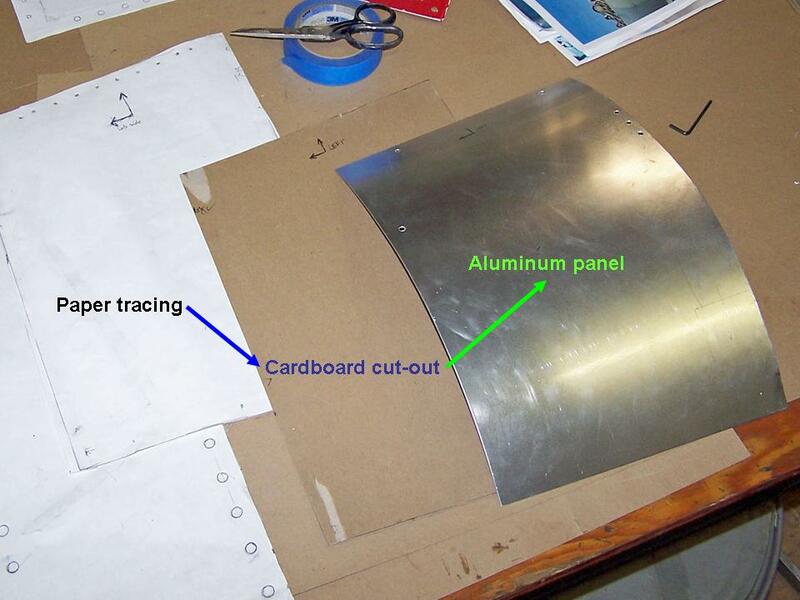 Figure 2, cell 02, shows the transformation from paper tracing to cardboard template to aluminum panel. 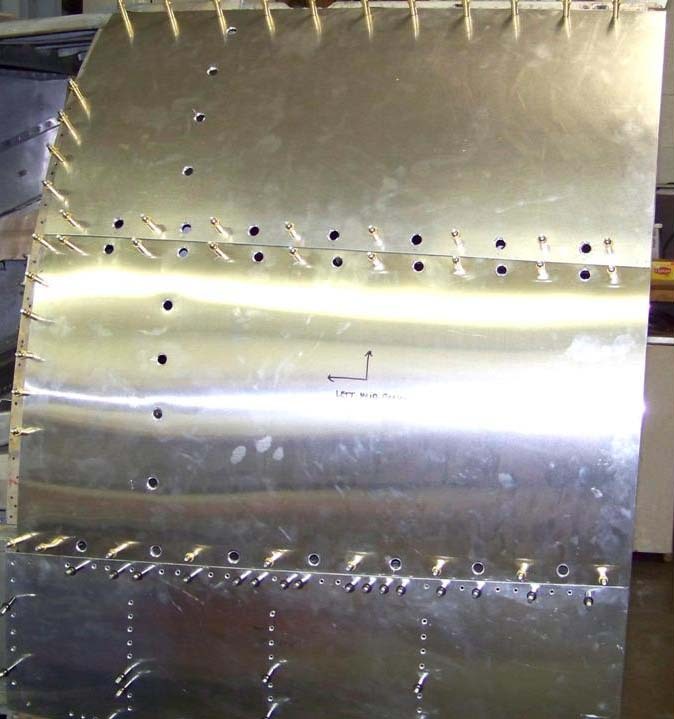 (This panel happens to be located on the lower fuselage front section.) Cell 03, shows a newly-cut skin panel in place. As you examine Figure 3, cell 03 closely, you'll see that the back portions of the skin plates are still "free-floating" at this point. That's because we have not yet made the bulkhead for this back section. 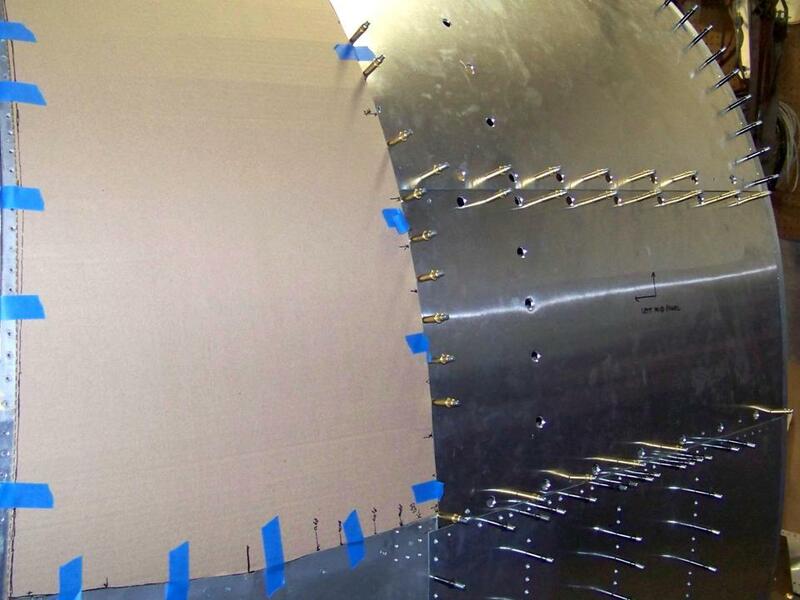 Because the back end of the fuselage we had constructed thus far had the correct size and shape, we traced that section again to begin the bulkhead building process. 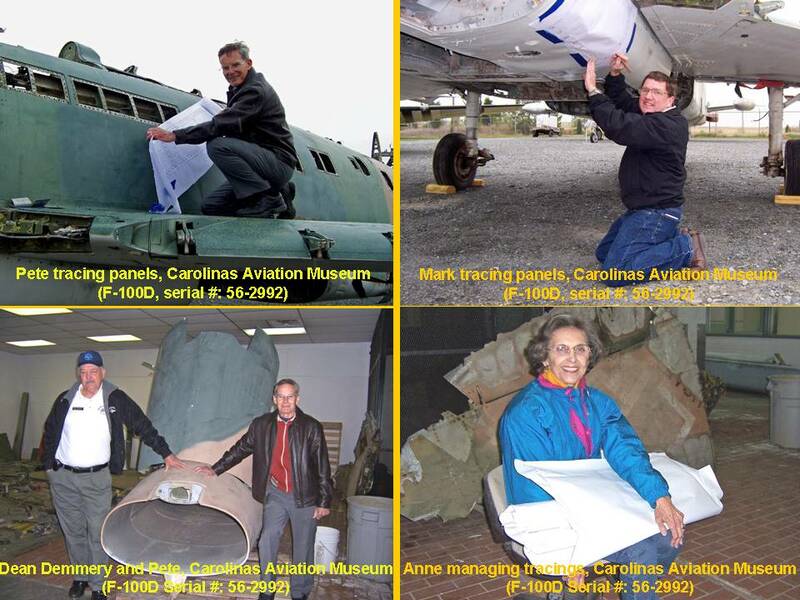 (I had bought the blueprints you see in Figure 4, cell 01, from the Smithsonian in 2007, so those blueprints were matched against the completed fuselage section I had traced on plywood.) 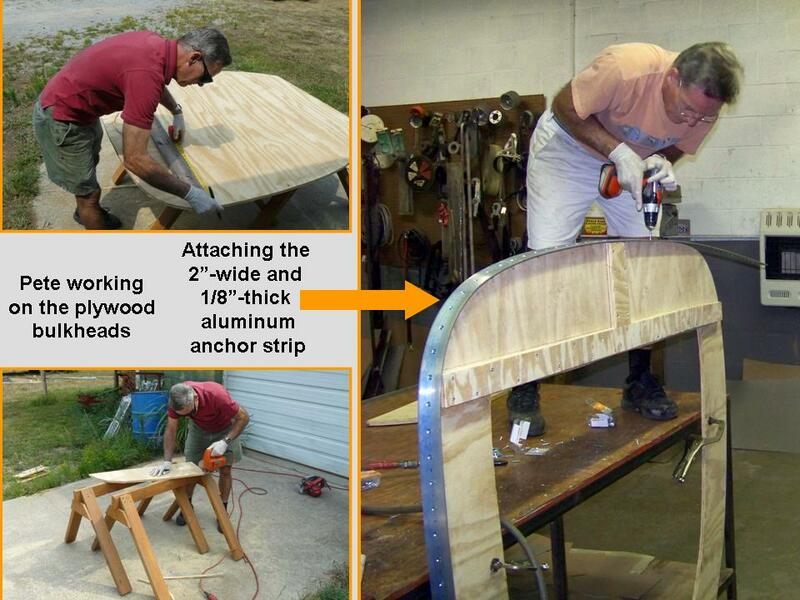 The two pictures shown on the left side of cell 02 show some of the work done on the new plywood bulkhead piece. 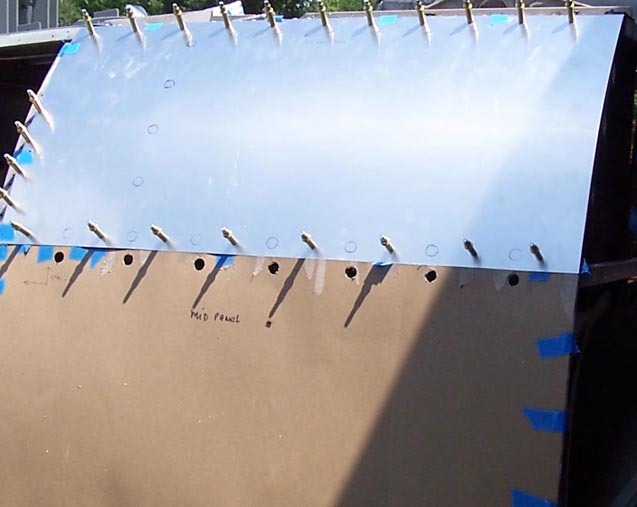 The picture shown on the right side of cell 02 shows how the 2-inch wide and 1/8-inch thick aluminum anchor strip was attached to the plywood. Figure 4, cell 03 shows the top panel attached -- with clecos -- to the newly-completed bulkhead's metal anchor strip. 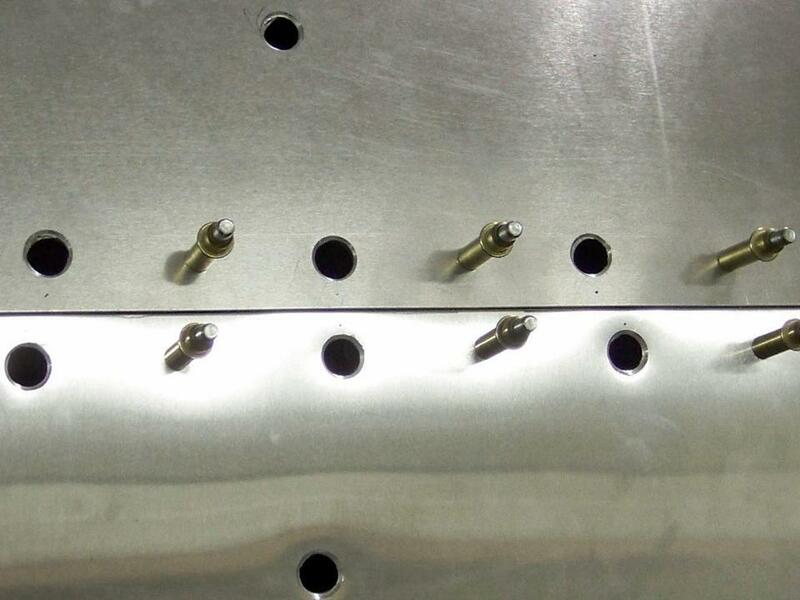 (The new bulkhead has been bolted to the preceding fuselage segment. 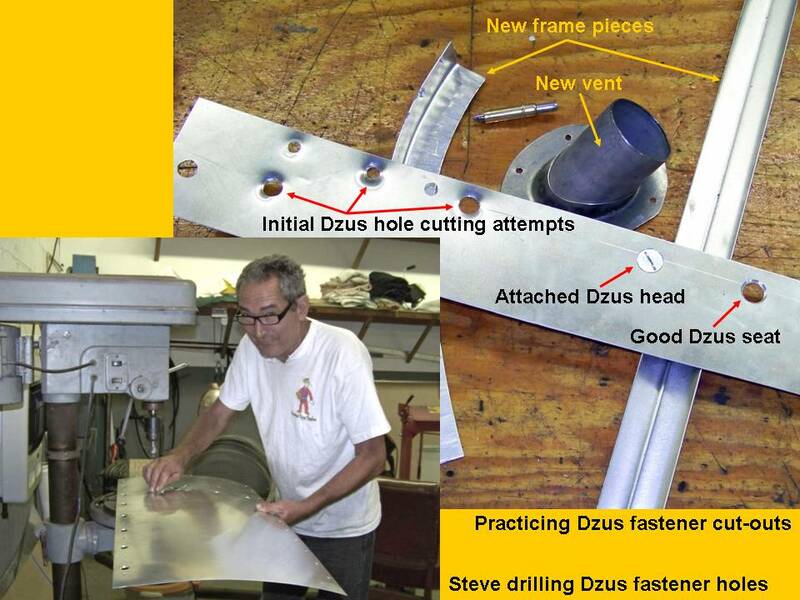 All of the back panel pieces you see in cell 03 will be riveted to this anchor strip ... which will also serve as the anchor point for the next set of formers and stringers that will be connected to the next bulkhead.) 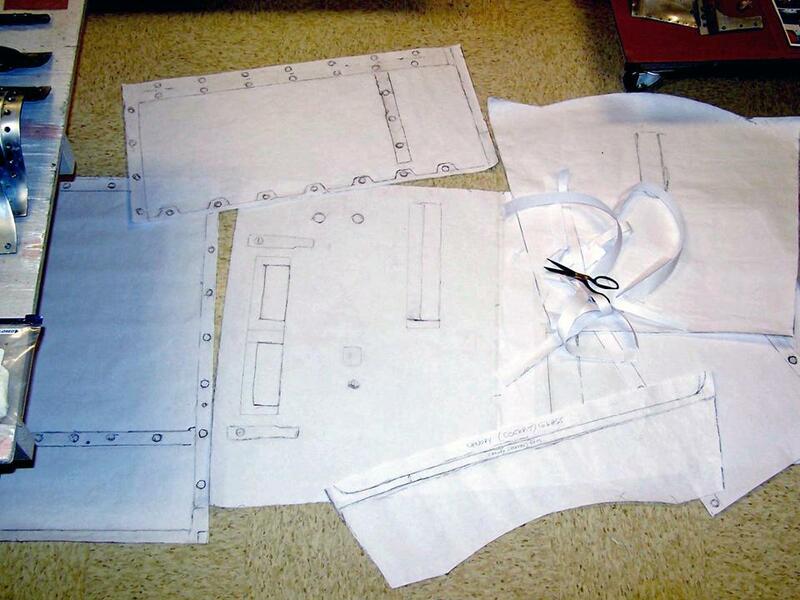 At this point, the next bulkhead section has already been cut and shaped, so there is a lot of progress to point to.